Stellar Web Studios created a great looking website for our company and is supporting us on how to keep the site current. They made the whole process painless and easy. Brian was outstanding! He completed a beautiful, user-friendly word-press site and a number of print and digital deliverables in record time. The campaign is one of the most successful ad campaigns that I have run in a long time, and I know that the clever and appealing design of the ads and website were major factors. Thank you, Stellar Web Studios! Working with Brian was a pleasure- he made sure we stayed on track for the entire project campaign, checked in periodically throughout the process to answer any questions we had, and made the process stress-free! The final product was more than what we imagined. I was in need of a new website and Stellar Web Studios delivered far more than I expected. Brian took the time to understand the nature of my business and what I needed the website to do for me and the result is nothing less than spectacular. In designing my new website he also gave me a new marketing tool that was working for me from day one and the feedback from my customers has been nothing but positive. Thank you Brian and Stellar Web Studios for your support, assistance, and expertise! Stellar Web Studios built our website from scratch. We gave them a general idea of what we wanted to do and they designed a fully functionally website that looks great, connects all of our social media platforms and partner companies, and is easy to navigate too. We’re constantly getting compliments on our website. Stellar Web Studio’s technical support has been great to Segreve & Hall. Whenever we want to make a change or update information they’re always available to take our call. We highly recommend Stellar Web Studios as they have built and hosted our website for months. They have also helped us beyond our website realm, assisting with graphic design, video production, and marketing. I absolutely love working with Stellar Web Studios, they have really helped bring the Greater Lowell Chamber of Commerce into the new century! In addition to creating a brand new logo for us, they are also in charge of our website. The ideas that Brian brings to the table are innovative, creative and fantastic. Our website is constantly changing and evolving thanks to Stellar Web Studios. No more boring website for us! Any nonprofit or business would be lucky to hire Stellar Web. Stellar Web Studios rocks! They designed a new logo for my business and are helping me with a major re-branding effort. And, most importantly, their efforts are allowing me to work on the strategic aspects of my business while their experts work on my social media campaigns and web presence. Thanks, Stellar Web Studios! Completely blown away from initial brain storming of ideas to final product. Brian at Stellar Web Studios helped us with everything from business domain name, to logo design, to website design. And still to this day they are easy to contact for troubleshooting or updates to the site. My business has doubled in a year and I give 90% of the credit to Stellar Web Studios. 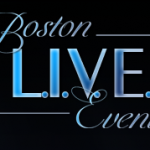 Check out our beautiful site http://www.BostonLiveEvents.com Thanks Stellar Web Studios I love you guys! I am so happy with my new website! I have to admit I was afraid of the scope of the project being that we were taking two current websites and merging them into one – and me not being so savvy with the technical stuff… However, it came out GREAT and it’s so easy for me to understand and operate. Thanks for speaking my language, taking time for me, and helping me create an online presence that I’m proud of! When we needed to modernized our 10 year old website, we came to Brian at Stellar Web Studios for help. We were met with utmost professionalism, highest quality of service in addition to beautiful designs and to-the-point functionality. They created our website from scratch (vs. cookie cutter approach that many others use). Our site went live right on time and the results are measurable, the traffic shot up about 40% higher compared to our old site. Needless to say, we strongly recommend Stellar Web Studios to anyone who need a web sites or graphics. I opened my hair salon, EYEFUL Beauty back in 2009. Having a website to promote my business through the internet was something I felt was very important to me being a “younger” business owner. 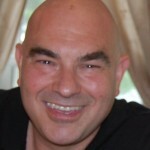 Working with Brian Bahia, founder of Stellar Web Studios, I was able to build a site to fit my profession. Asking my clients on a daily basis, “how did they hear about EYEFUL Beauty?” The most common answer was “I found you on Google and went to your website.” Not being very website savvy Brian is/was very patient with me through this whole process. He teaches me ways to update my site and post daily blogs on specials and events happening in my salon. I consider Brian and his team to be top notch web designers! They stay current on all issues concerning web design, he is continually educating himself which gives us a higher ranking in all search engines. Brian is always on top of all our needs and responds very quickly. His costs beat anyone we have researched in the Lowell area. I will continue to refer all my friends and family for any graphic design needs. Thank you guys for helping me succeed through these tough times!